Fun European cycling holidays to France, Italy, Spain and Switzerland. Owned, operated and run by Clare Holdsworth, Wide Open Road offers quality, personalised bike tours to the best cycling regions in Europe. Our tours are affordable and offer the best value going around. We offer Cycling Holidays Tour de France but also explore stunning regions and quiet back roads that only the locals know about. We conquer the climbs of the French Alps, Tour de France, Pyrenees, Giro d'Italia, Italian Alps and Pyrenees and organise our routes to take in the tourist highlights of the regions as well as the cuisines and wines. We offer cycling holidays for singles, cycling holidays for couples and cycling holidays for women. WHO IS WIDE OPEN ROAD? Wide Open Road Cycling Tours have been operating since 2001 and are owned, operated and run by Clare Holdsworth. 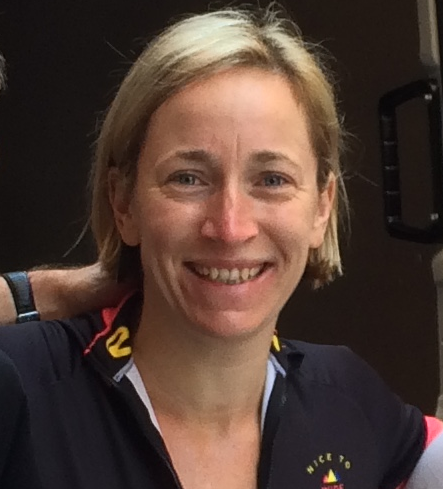 Clare has extensive cycling and travel experience in Europe, has detailed knowledge of the best cycling routes as well as the cultures, traditions, food and wine of the regions we pass through. Clare delivers a personalised holiday experience, adapting your holiday to your needs. If you want to ride an extra Col, take in a long lunch, or take a short-cut - it's all possible! Clare Holdsworth, Director Wide Open Road Cycling Tours, exploring Provence for our Nice-Alps ride. Our rides are point to point (we don’t believe in spending valuable holiday time in buses), we cycle around 80km a day, attract a mix of abilities, ages and genders. The common factor is a love of challenging but sociable cycling with a good meal and glass of wine (or two!). Many of our customers become lifelong friends and return in following years. We are Australian cyclists who fell in love with cycling in Europe in the northern summer and have spent many cumulative years exploring Europe by bike. Each year we schedule different routes so that we can coordinate one of our tours to coincide with the route of the Tour de France. We have a crew of 2 to 5 people depending on the size of the group. Our crew are all keen cyclists who volunteer to assist on our rides, have bicycle mechanic skills and can speak French. of cycling, travel, food and wine to provide that magic mix of a WOR Cycle Tour. She is also a qualified physiotherapist, speaks French and loves an al fresco long lunch after a great ride. Pepe has been a member of the WOR crew since 2012, when his first European road ride was the epic climb to Alpe d’Huez. He’s been hooked ever since, crewing on our rides through France, Spain, Italy and Switzerland. Eight years later and he’s now a WOR lead, having cycled all our tours numerous occasions as well as traveling and cycling extensively in other regions of Europe. He brings the wealth of his customer service knowledge to the team. He is also a qualified musculoskeletal physiotherapist and brings that experience along with him on our rides. Roofi, from Melbourne, has crewed for us previously on our Barcelona to Nice ride and twice on our Nice to the Alps Tour. Roofi also joined us as a customer on our Milan to Venice tour in 2016 – so he has a great perspective on how our tours operate! A keen cyclist with a triathlon/ironman background, Roofi won the crew award for ‘tidiest van’ – just don’t mention the goat milk! Rob (“Bob”) is a fully qualified bike mechanic and has been a mechanic on 3 past WOR Tours. Previously living and working in Norway, he is a magician with bikes and has travelled with his bike to many parts of the world. 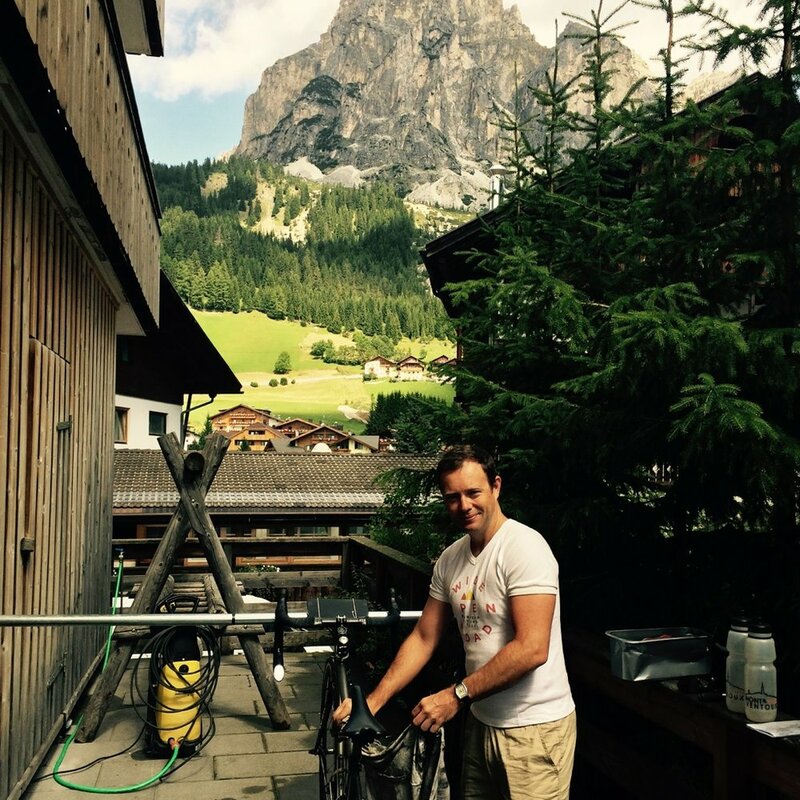 Rob G has cycling is in his blood, not to mention his Italian heritage and passion for Italian food and La Dolce Vita! Robert has visited Italy many times and is a language expert on our Italy tours. Alfie joined the WOR family for the first time in 2018 as our Tour Mechanic. He has extensive mech experience in a career spanning over 20 years in the cycling industry. He is also manager at North Fitzroy Cycles in Melbourne. This background, combined with his racing and crit pedigree, make him an ideal riding/driving crew member – and he even speaks a bit of French, too! Mick, formally from Brisbane, now resides in the northern rivers area of NSW. Mick made a return to our WOR crew in 2018 following his stunning debut season in 2013. He’s an avid rider and is almost as fast up the climbs as he is down.